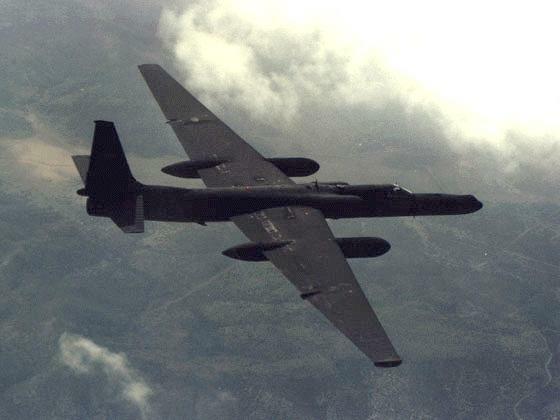 The Advanced Synthetic Aperture Radar System [ASARS-2] is a multimode real-time, high-resolution reconnaissance system carried on the U-2 with all-weather, day-night, long-range mapping capabilities. ASARS-2 detects and accurately locates stationary and moving ground targets with improved range in both search and spotlight imagery modes. It gathers detailed information, formats the data, and transmits it via wideband data link for display of fixed or moving ground objects. The radar is capable of producing extremely high resolution images from long stand-off ranges and provides the highest resolution radar ground maps available today. The Enhanced Tactical Radar Corelator (ETRAC) is a new generation system for processing ASARS-2 data. ASARS-2 data rates are currently 84 Mbps Video Phase History, 8 Mbps spot image . The approved ASARS-2 upgrades will increase the downlink to 274 Mbps and processed imagery to 45 Mbps. Highly accurate, ASARS was a major contributor for targeting and battle damage assement in Desert Storm. By the turn of the century ASARS will face a vanishing vendor problem that will leave it unsupportable by 2004. The Air Force proposes to use commercial off the shelf technology to increase not only supportability but capability as well. The ASARS improvement program (AIP) provides on-board processing, improved image quality, broad area coverage of fixed and moving targets, and improved target geolocation. The AIP includes funds for unilaterally tapping the aircraft generator. However, a preferred option is to reallocate a portion of the AIP and other sensor funds to create a power distribution architecture to serve all planned and future sensor power requirements.